Continuing the conversation from the previous post, when it comes to maintaining a nice steady cash flow it is by far better to do something on a regular basis because magick is cumulative! I like the fast turnaround that candle magick provides for this. 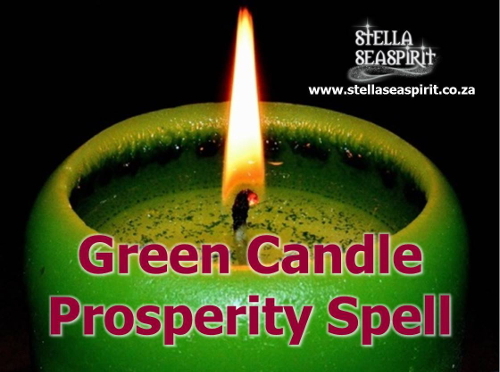 Take a green candle that you only use for this particular spell. If you are unable to have an open flame you can still use this spell substituting the candle with a green crystal such as aventurine, malachite, moss agate or green tourmaline. Or engage visualisation with green and/or gold light instead. Should a green candle not be possible any colour will do or pure magickal beeswax is also great. Same goes for the crystal, if you don’t have a green one use multipurpose clear quartz instead. Why 8? It represents infinite abundance of all good things such as health, happiness, love, laughter, miracles and magick. Pythagorus actually had his students meditate on the figure 8, tracing its endless loops as a focal point. 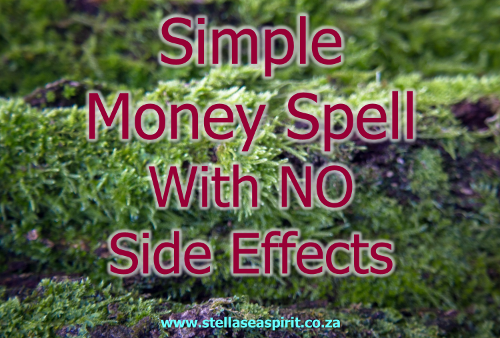 Perform the spell just before bed so that you don’t think on it any further because with money we tend to shoot ourselves in the foot when our logical left brain starts trying to rationalise when and how it is going to come to us. If you can’t do it before bed for some reason, try to do it just before you need to go and do something else that will distract you! Ground and centre. Light the wick. Feel your aura expand outward from the room you are in, shining beyond your home, across your state, beaming outward from Earth and radiating into the depths of space. Become aware of your chakras spinning and feel them opening and aligning. Standing before the candle/ holding the crystal between the palms of both hands in front of your heart centre/ visualising, step into the energy of abundance. For example, call to mind the brush of soft silk on your cheek, the beautiful wood inlay your fingertip can’t help but trace and the sensation of stress melting away with a hot stone massage. Essentially, think of all the things you experience that feel rich to you. Maybe a particular perfume scent, nail polish colour etc. Think about all the little things that add up in your life that you already have and are grateful for and draw in the feeling that goes with each one of them into your heart space. Next, bring your attention to how it good it feels to have a free flow of abundance so that all your needs are met, where there is more than enough to share. And as you share with others your abundance touches the lives of others in your local community and globally, positively impacting everyone as you prosper so you help others prosper too. In your mind’s eye see yourself in scenes where you are handing over money to purchase products and services, donating to causes dear to your heart, smiling and interacting with a warm fuzzy feeling because it feels so good to have enough and share the wealth, knowing that the flow can never run out. “I now blaze away any obstacle to my ability to flourish. Which is my birth right as a child of the universe. Prosperity flows to me in delightful, easy ways from all directions. Because I able to share my love, light and generosity more freely with the world around me. Imagine a shimmering green mist strewn with golden sparkles wafting around and through you, emanating from the ether. Conjure the feeling of fullness, of infinite abundance in every fibre of your being. To end off, extinguish the candle or set the crystal down while stating “until next time”. Allow any unused energy that accumulated within and around you to disperse into the Earth.